Your desk, whether you use it for education or work, is a space intended for being productive and simply “getting the job done”. Ideally this part of your room, apartment or office should be clutter free, tidy and organized. The truth is, though, this area most often ends up being covered in mountains of clutter. And that’s not what you want! Before we go into the fun ideas, you might want to know that a cluttered desk does not only cause stress but it’s also expensive! According to PR Newswire, a survey performed back in 2015 revealed some astonishing numbers. 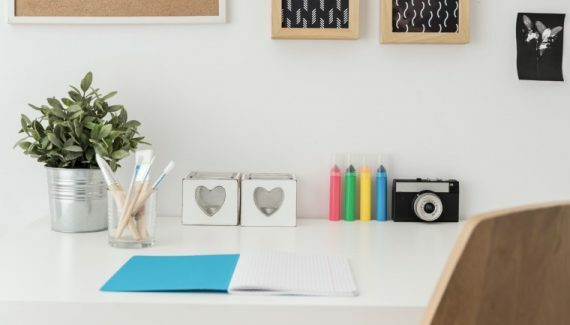 Not only does over half of the American population have problems with clutter, 78 percent simply doesn’t know how to clean up their working space. Also, research revealed that companies lose billions every year. That’s because the workers spend a significant amount of time looking for lost items in cluttered offices. Sometimes you can just use the “out of sight out of mind” strategy. Just shove the unnecessary papers and unidentified objects in the desk drawers and boxes. In time they will get full, and you will never know where you left those important things. If you have a pile of stuff on your desk and somewhere near you, be sure to keep on reading! Even though this seems easier said than done, the first step in organizing your working area is clearing up space. Do you really need 100 pencils and a dozen folders? Take all your things from the surface of the table, drawers and surrounding boxes and lay out everything you have. Take a pen and paper and draw out your idea. Particularly if you have limited space, as small apartments and hub stations most usually have. Draw out a tabletop plan, as well as each desk segment. The sides, walls etc. Start out from the ‘cubicle layout’ and expand if necessary. 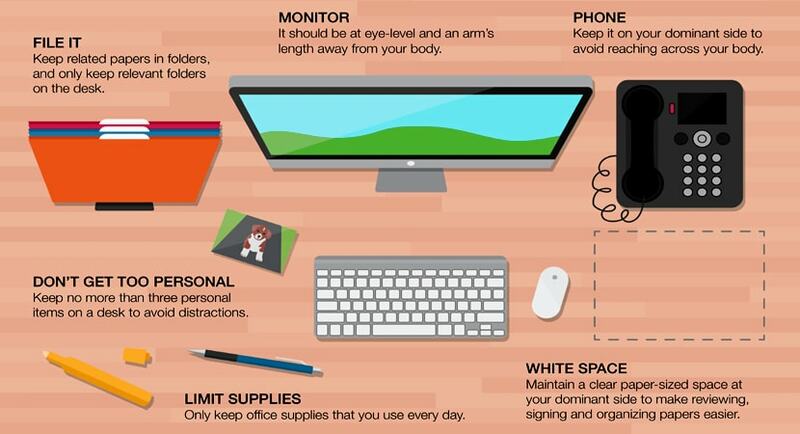 What is mandatory for any desk is your laptop, mouse, cell phone, planner, pencil holder, and basic office supplies. Before you put them back on your desk clean all the surfaces. Lukewarm water, a clean cloth and a little bit of washing solution will do the trick. Simply add a few drops of detergent, soap or even shampoo to your water bowl. 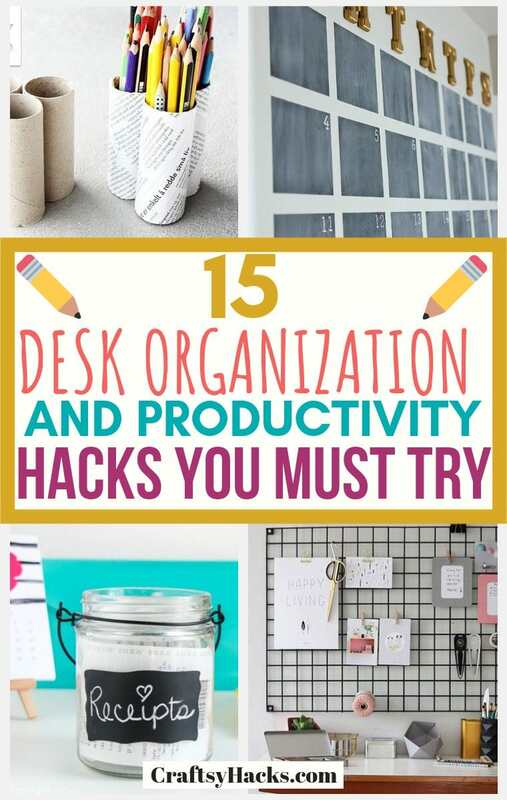 Then, dip the cloth and go over every surface of your desk. That includes the inside of the drawers if you have them, and the sides of the table. Now, if you are emotionally attached to some of the garbage try using the “Marie Kondo method”. 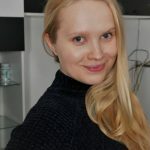 Ask yourself a simple question – Does this thing make me happy? If not, perhaps you don’t need it. “The life-changing magic of tidying up, the Japanese art of decluttering and organizing” is a Marie Kondo’s choice and suggestion for all desk Gollums. If you’re having trouble throwing out old paper clips, receipts, and unnecessary garbage, this is the book to read. After you have cleaned everything and sorted out what stays and what goes, don’t throw out all that garbage just yet. You might be able to use it for some fun, beautiful and practical décor for your desk. Be creative and recycle! Okay, I hope that you did not find leftover toilet rolls in your drawers! But that’s something you can find in every home, school, and office. Repurposing old office, and in this case, toilet supplies is a great way to help the environment. Have fun and save some money! If you work in a corporate environment, have a competition with a few of your colleagues. 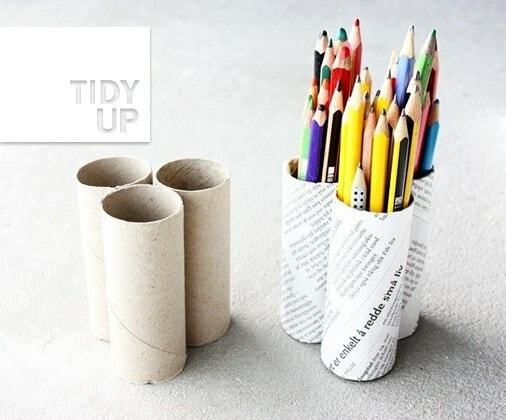 Stack up on toilet rolls and see who will make the prettiest and funniest pencil holders! Enhancing your organization skills is always a plus. If your mind is like a messy desk, try learning new techniques on how to manage your time and daily activities better. There are many ways that you can do that. For example, keeping a to-do list in one journal can allow your creativity to run wild and keep up with all the deadlines. It might even help you to scrapbook some of the garbage that would otherwise end up forgotten in the bottom of your drawer. There are a plethora of ideas roaming around the internet. 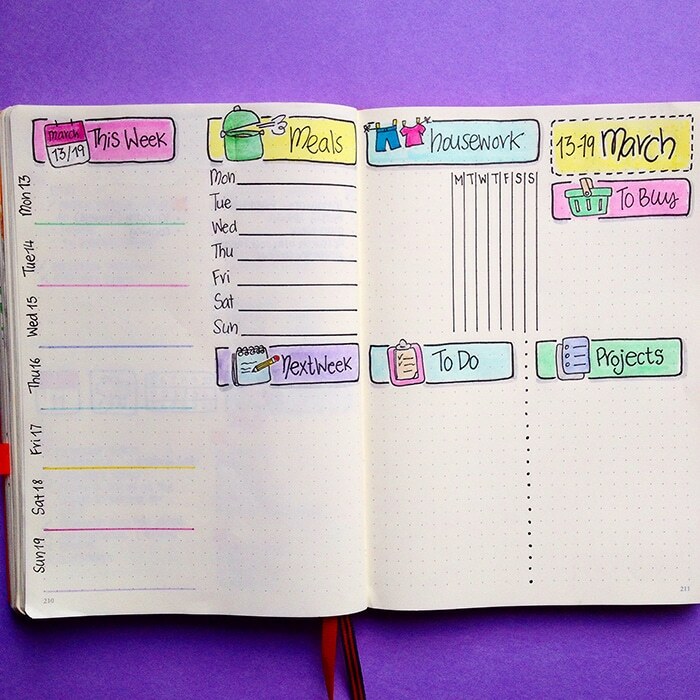 However, for mastering, this activity try the weekly bullet journal that was so carefully described by Christina 77. Using washi tape as part of your office and desk supplies may not seem necessary, but its fun. There are beautiful designs and can break the everyday black and white monotony. If you are a washi tape lover, you have a secret stash of cute prints somewhere on your desk. For a better organization and control over the washi tape situation, I recommend making a washi tape dispenser as instructed by Amy Anderson. 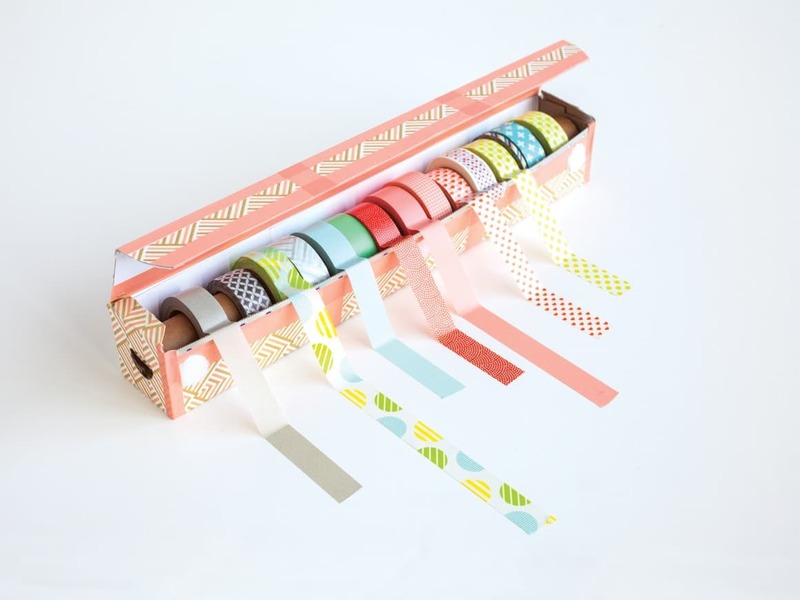 Here are a few beautiful sets of Washi tape you might like. This segment can be fun and practical, particularly if you have a home-based office. 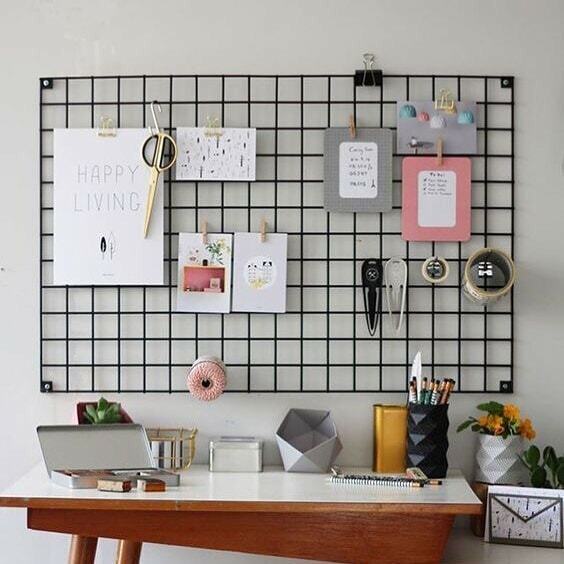 Using a wire wall grid, or even a simple pinboard can help you with feeling a lot more organized. There are many ideas and depending on your taste you can go with a minimalist design. Also, you could just go full on and make a living piece of art from your home desk office. If you’re in need of such a wire wall grid, here is one. Rose gold grids are also an option, look at this one here, pretty cute, isn’t it? Here are more tips on how to create more storage space in a small room. You can use plastic containers from old products, or get your own drawer organization containers from Amazon. These clear plastic organizers are pretty good. They are good for organizing beauty products too. Kelly Nan displayed a perfect drawer with supplies net and organized it using different sized boxes. 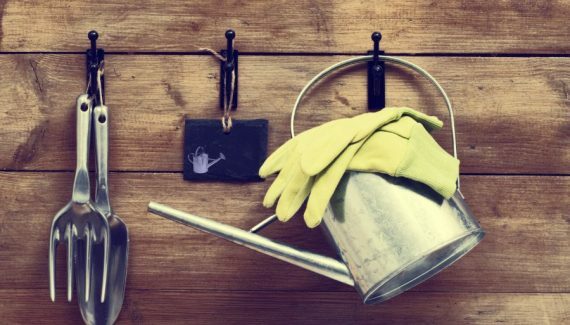 Sometimes it’s hard to stay true to the organized lifestyle because of your busy schedule. If you have a small desk and a lot of stuff, why don’t you add storage on the sides of the table? The walls or a few shelves can work too! This amazing idea by brit+co allows you to have fun and even add some greenery to your surroundings. Organizing your printed documents can be a hard and dull activity. Next time you set a date for organizing your printed content, try adding some motivational quotes and classy colors. Then, see the world changing in front of you! Seriously, with everything I’ve said so far, the key thing is to express aesthetics in your working environment. Then, observe how your productivity will change almost overnight. 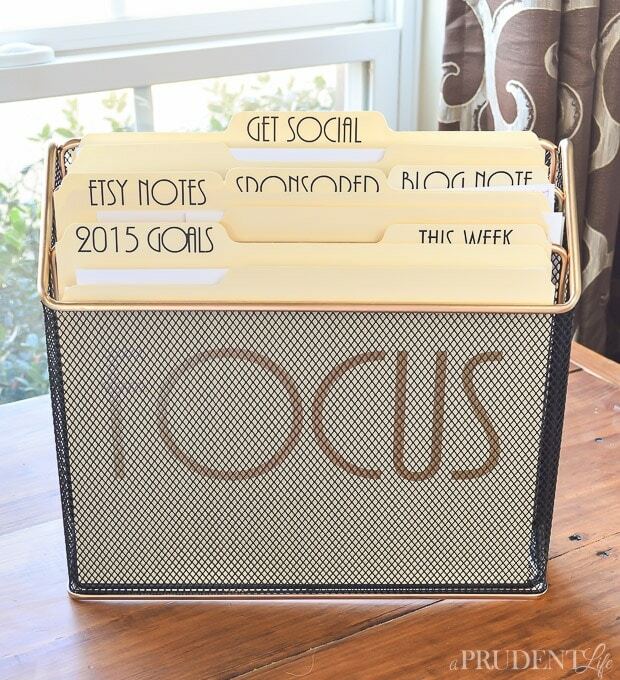 Try this folder organizer idea (you can change the color from gold to silver, or a base color of your choice). Maybe even use some of those scrapbook and bullet journaling techniques I’ve mentioned earlier. Have fun and organize. For the idea, all you need is a cute wall file holder like this one or this one and a few file folder like these here. One of the things people keep forgetting every year is to get a new printed calendar. Even though we have our reminders, the internet, and smartphones (if the power goes out for example), you will always have a visual reminder of your own. 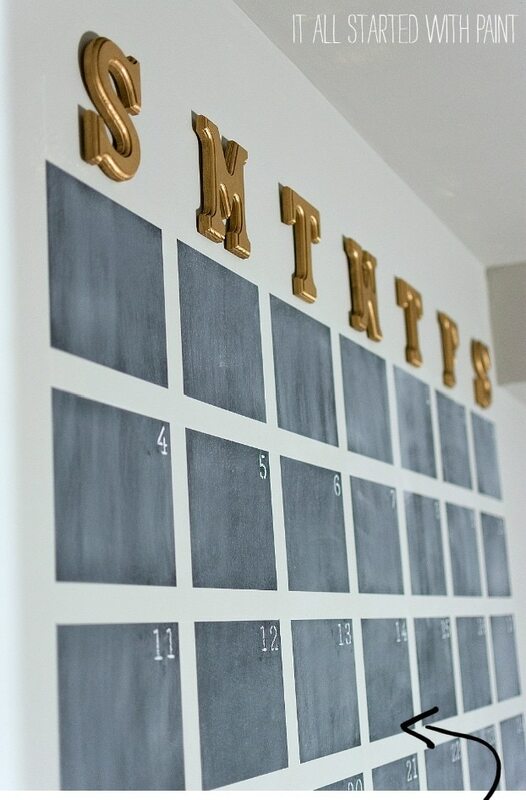 You can always take a small project up a notch and make a chalkboard wall calendar. There are many ways you can untangle the cables: mark them with post-it notes or use boxes with holes. 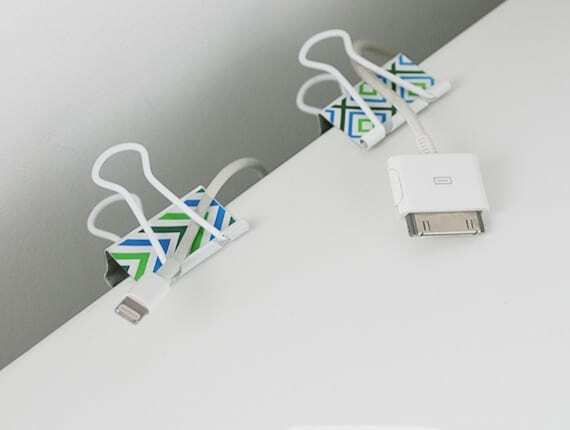 By far the simplest way to keep cables untangled (at least the ones you need every day) is by using a simple binder clip. Here are a few colorful ones! 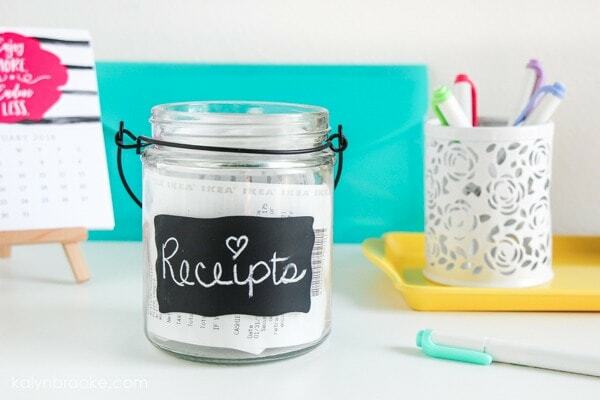 Keep track of all expenses as Kalyn Brooke suggests, with a simple mason jar that will store your receipts. It’s great for storage and you can find one at a Dollar Store. So, definitely one of the better Dollar Store organization hacks. These mason jars are quite lovely too! Busy working days can bring out the best and worst in you. Sometimes it gets hard and you need a break. A headache reliever or a snack can get your sugar levels back up. Get prepared in advance and leave some room in a drawer for it. Also, you can just make a secret stash below your desk surface with a box and some duct tape. 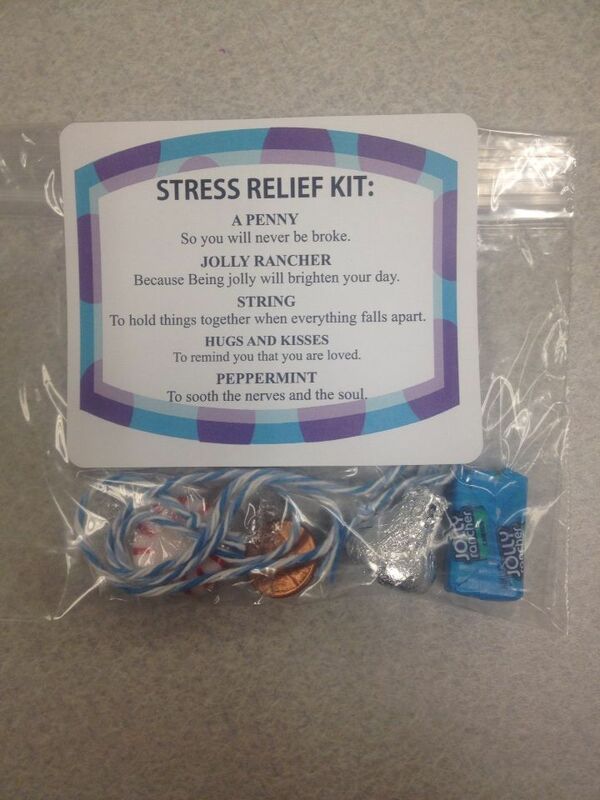 Use it only in urgent situations or when you have a colleague in distress. This is also a great gift for any coworker’s birthday. 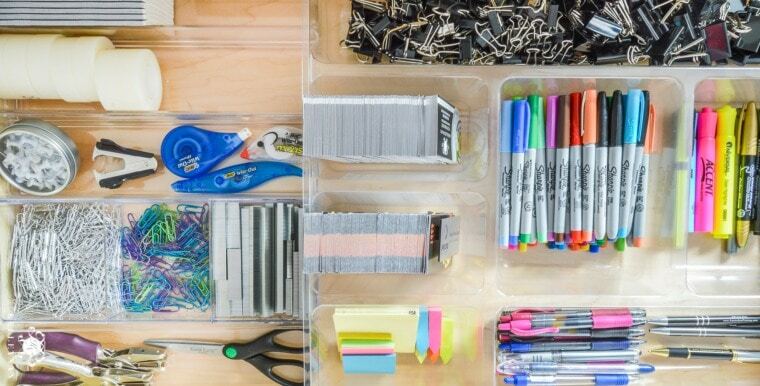 Enjoyed some of these desk organization, productivity hacks? Let me know which one was your favorite! Having an organized desk can help you to become more productive and happier in your office. At the end of the day, it feels good to get work done and see beautiful results!